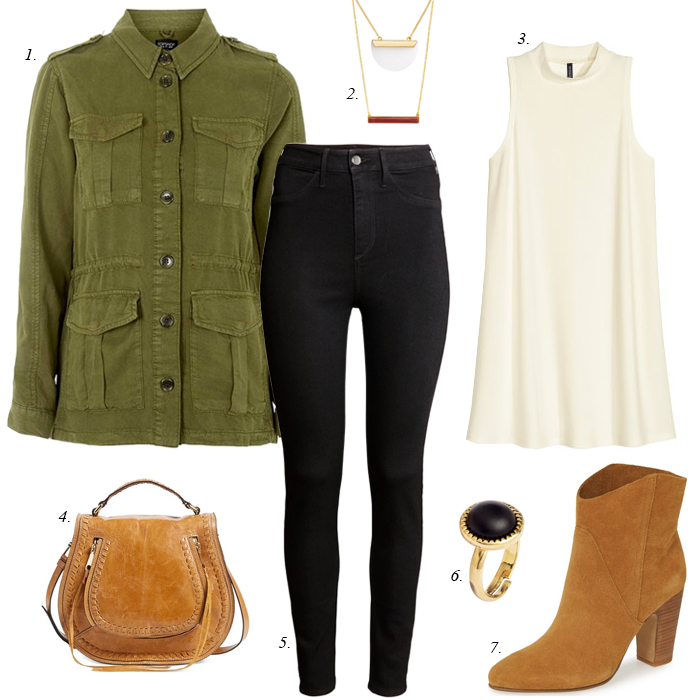 See four more ways to style cognac boots HERE. I am so happy to be collaborating with my friend, Gina on this post. 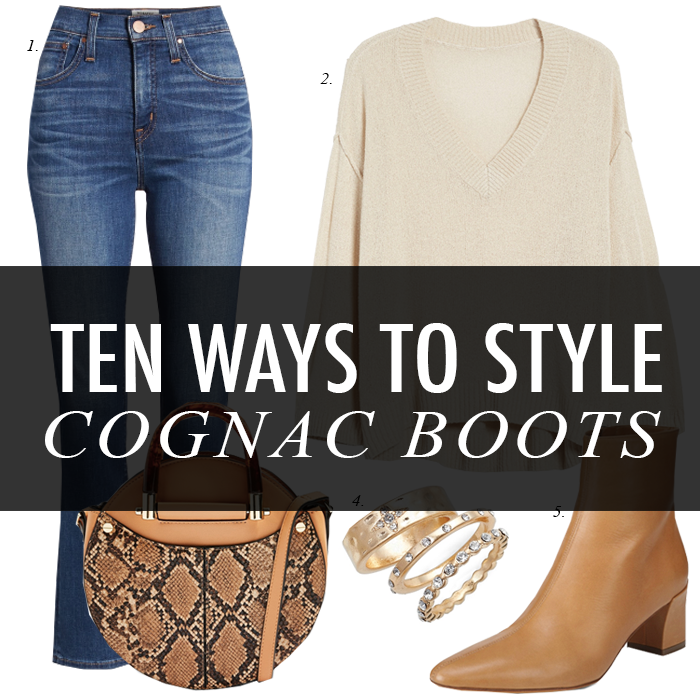 We are sharing 10 different ways to style cognac boots. 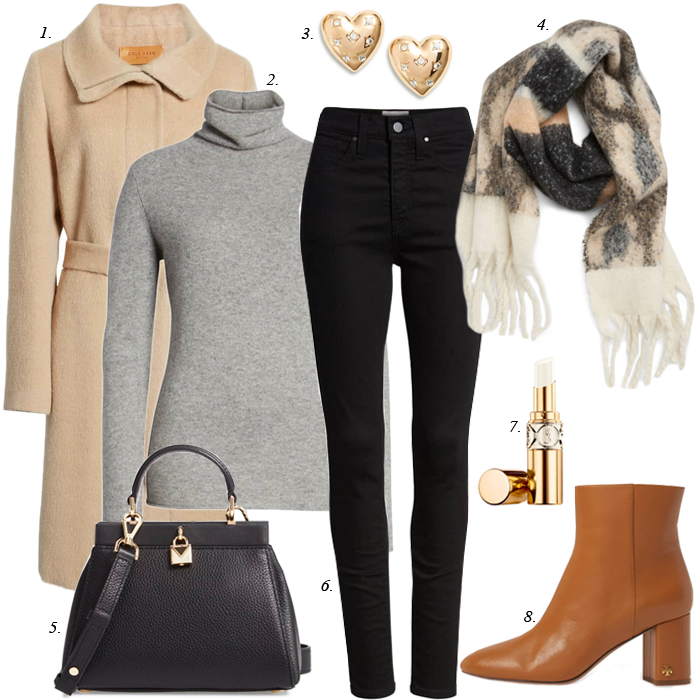 I am sharing six different outfit ideas here, and if you hop over to Gina's blog - On the Daily Express - she is sharing four more ways she styled her cognac boots. If you do not already follow Gina, I highly recommend you check out her blog. She is a great fashion resource - with her Amazon finds, designer dupes, Pinterest inspired outfits, and much more style inspiration! Plus, if you love to read and are looking for some book recommendations and reading tips - you need to check out her blog. I have known Gina for several years through blogging, and she has always been so supportive of my blog and an encouragement to me. I am so thankful to have met her through blogging. 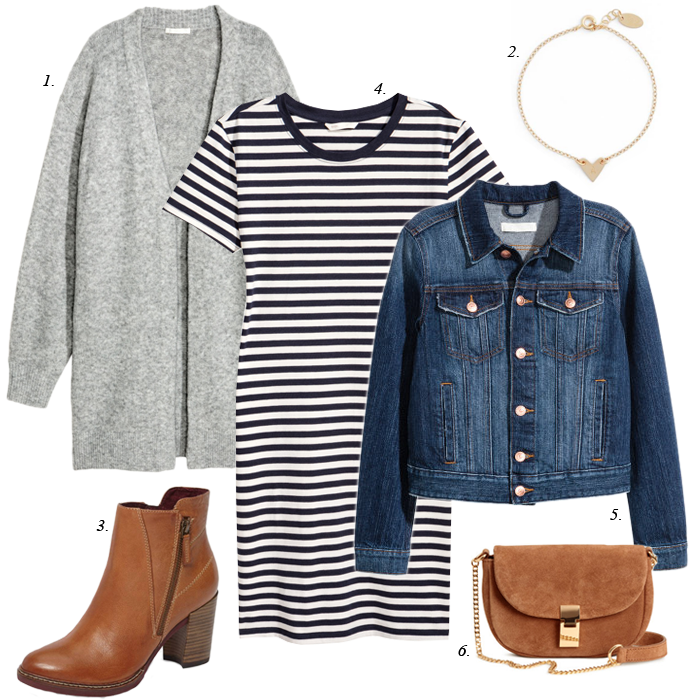 I like this striped shirt dress paired with tall suede boots. This v-neck sweater is $25 - and comes in six colors. These ankle booties are on sale for $50. These leopard booties are on sale. This plaid jacket is on sale for $30. These plaid pajamas are an extra 60% off. This cute windowpane skirt is 50% off. This floral blouse is 50% off. These cute wedge booties are 40% off. This boyfriend cardigan is 50% off. Headed somewhere warm - this cute one shoulder ruffle swimsuit. I am not sure how much I would wear this skirt - but I like it. This new arrival shirt dress would look great with cognac boots. This blush pink tunic is 50% off and only $20. I love cognac. My favorite piece is that Chloe bag - oh I would LOVE to own that baby!!! 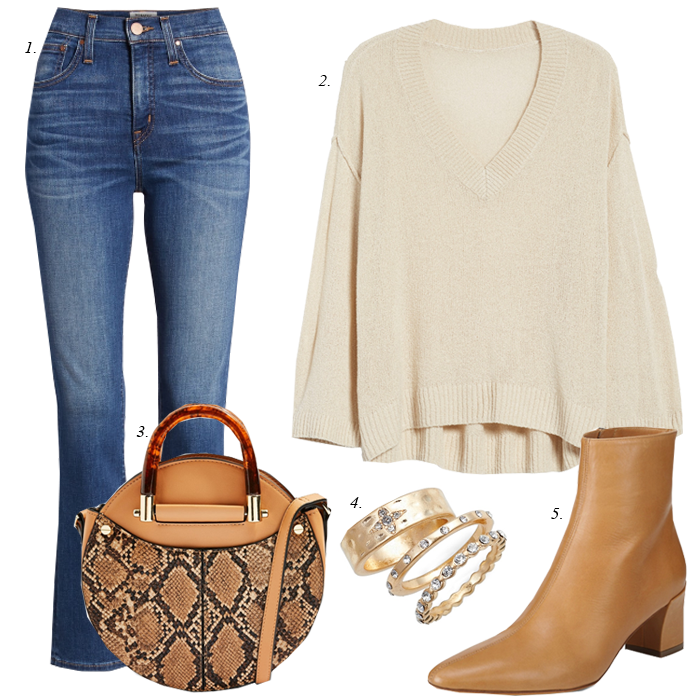 Love the cognac boots and the snake bag! Great styling as always! I'm in desperate need for a new pair of cognac boots- you are lighting that fire! These are all great looks. It messes with my head a little to see cognac styled with grey! That snakeskin round handbag is sold out--rats! I really need a pair of cognac boots! They are so versitly and stylish. I love each outfit that you created. And that snake bag is so pretty!